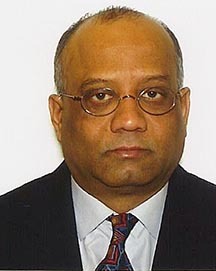 Raj Shankarappa is originally from India and came to the United States for his PhD. For more than 15 years he worked on HIV, and more recently has embarked on a number of challenges for IdeaConnection. What I liked when I first look around the IdeaConnection website is that it caters for a whole spectrum of ways of generating ideas, such as prior art searches and Idea Rallies; it is everything for everybody, a smorgasbord of an idea factory. For people who work on problem solving challenges, it’s a great opportunity to expand their knowledge and to contribute. I have worked on a couple of projects through IdeaConnection and the wonderful thing is that it has taken me into areas and directions that I would never have gone. Working on different projects leads you to have ideas that you would never have thought of otherwise, and if I was an employer I would definitely encourage my people to do something like IdeaConnection. I think Google lets its employees spend some of their time on personal projects; it’s a good opportunity for people to diversify. Sometimes when working on a problem it’s not always obvious at the outset what is required, because the descriptions are not clear. That’s not anyone’s fault, it’s just the nature of things. It is difficult to get a clear idea of what a client is looking for unless you spend some time working on the problem and conducting some research. Over time it becomes clearer and clearer. When I have been working on a prior art citation search I have been amazed at some of the knowledge that has accumulated over time. Overall my feelings about my time with IdeaConnection are that, first of all it’s a great opportunity to get to know other things. It’s an adventure really, and a nice break from doing whatever it is that you are doing. The money is equally important, and I was very happy to receive the money for my successful research on synthetic genes; the timing was just right. Although I have not worked on a team challenge yet, I would like to, but it depends on what is available.